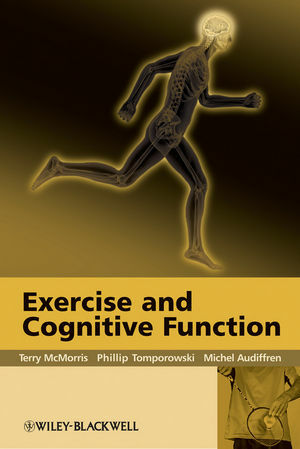 This textbook focuses on the relationship between physical exercise and cognition, a very timely and important topic with major theoretical and practical implications for a number of areas including ageing, neurorehabilitation, depression and dementia. It brings together a wide range of analytical approaches and experimental results to provide a very useful overview and synthesis of this growing field of study. Part I covers the conceptual, theoretical and methodological underpinnings and issues. Part II focuses on advances in exercise and cognition research, with appropriate sub-sections on ‘acute’ and ‘chronic’ exercise and cognition. Part III presents an overview of the area and makes suggestions for the direction of future research. This text provides a cutting-edge examination of this increasingly important area written by leading experts from around the world. The book will prove invaluable to researchers and practitioners in a number of fields, including exercise science, cognitive science, neuroscience and clinical medicine. Unique in-depth investigation of the relationship between physical exercise and brain function. Covers theoretical approaches and experimental results and includes chapters on the latest developments in research design. Examines the effects of both acute and chronic exercise on brain function. International list of contributors, who are leading researchers in their field.